A Receipt from the 1949 (or 1948?) 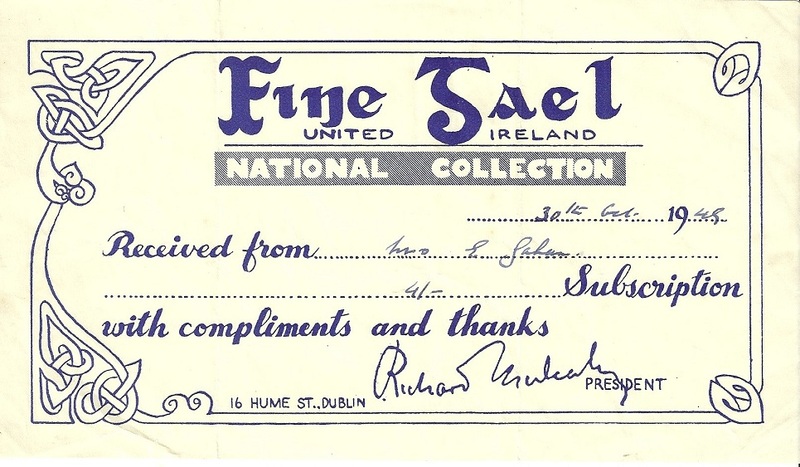 Fine Gael National Collection. Note the Fine Gael logo and prominence of United Ireland and Richard Mulcahy as Party President.